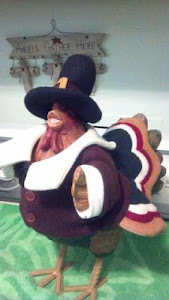 November already! 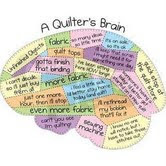 I am not going to say "where did the time go" because I know one thing we quilters really put our time to great use.. we are always quilting and sewing especially quilting. We also love giving quilts. We also love show and tell because then is the time to share what we made and get the ooo's and the aaaah's that we crave. Quilting takes a lot of time and patience. If you don't have it then don't try quilting.. some quilts have as many as 1000 pieces that have to sewn together and the colors have to be the right colors..but what is the right colors you ask, any colors that you put together in a quilt magically go together they just look good altogether. Sometimes when I see the colors that God put together on a hillside or in a meadow I get excited because it seems that God don't care what colors He put with what colors.. He just throws them altogether and it just works. So when you look at quilts don't be dismayed because black is next to green or purple is next to yellow. Look at is like it is a beautiful flower garden that God has created. I will say this, the love and care that I feel everytime one of my quilting sisters open her quilt to show is such a wonderful feeling. We really love this task that God has given to us. He has allowed us to create these beautiful gardens and then when we give them away we get the most satisfying feeling of all. So let's not get weary in our quilt making just know that it is our task to make the quilts that God wants to brighten someone elses life.